their feet to hear what they have to say. pages, he will respond and add to the story. Rudolph proves that being different isn’t a bad thing after all. 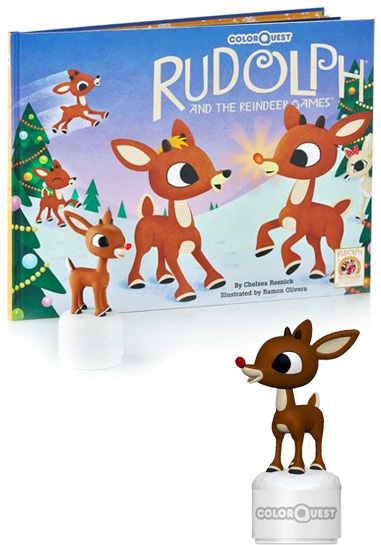 • Rudolph responds as you read key phrases from his book. His nose lights up too! animal, book and read-along CD. • Written by Chelsea Resnick. • Illustrated by Ed Myer. the main characters and moments from the TV special. 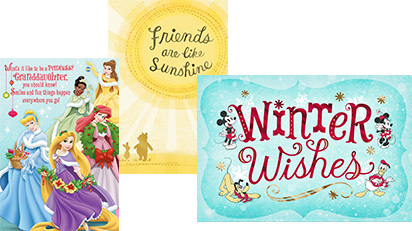 select any 2 Disney® greeting cards priced over $3 and save. offer below and ‘3 cards for $10’. The ultimate Christmas stocking stuffer or gift presenter. 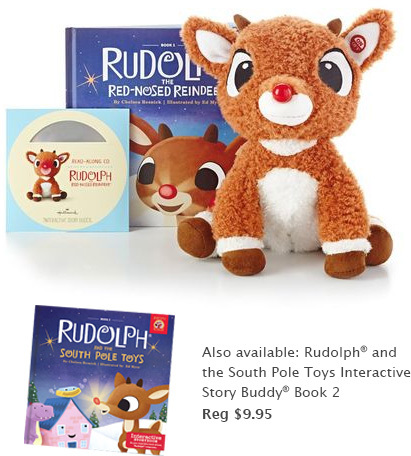 *Offer valid on Hallmark branded Rudolph The Red-Nose Reindeer® gifts 12/9/14 while supplies last. May not be combined with other offers, including coupons and promotional merchandise. 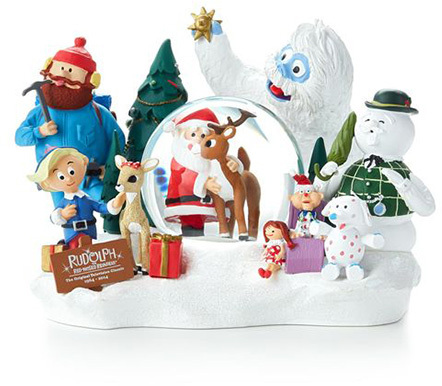 Not valid on Hallmark Keepsake Ornaments, itty bittys®, past purchases or sale and clearance-priced merchandise. Tax not included. Selection may vary. 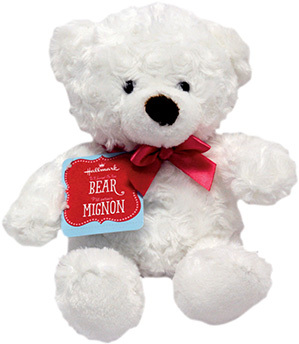 ** Must purchase the `Ultimate Gift Bear’ and the card in the same transaction. Retailer has the right to limit quantities.